Good Morning Everyone! I hope you had a wonderful weekend. We have been keeping busy with Con-Man and Sawyer's Birthday party this past weekend (pics to come soon). My MIL is also still in town so we are showing her around fabulous Altus this week. In the meantime, to follow up on my last post about missing design work- I started a little project. This is completely just for fun, a client that I dreamed up (my dream client who lets me design what I want and has an unlimted budget!). 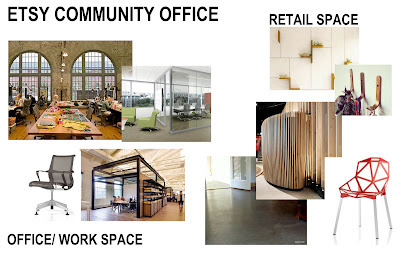 This client is a group of Etsy Retailers who have come together to create an office/ workspace where they can keep track of the business side of their shop and work on their designs as well. There will also a retail space where they can sell their individual designs to customers off the street. First up is a basic concept board. 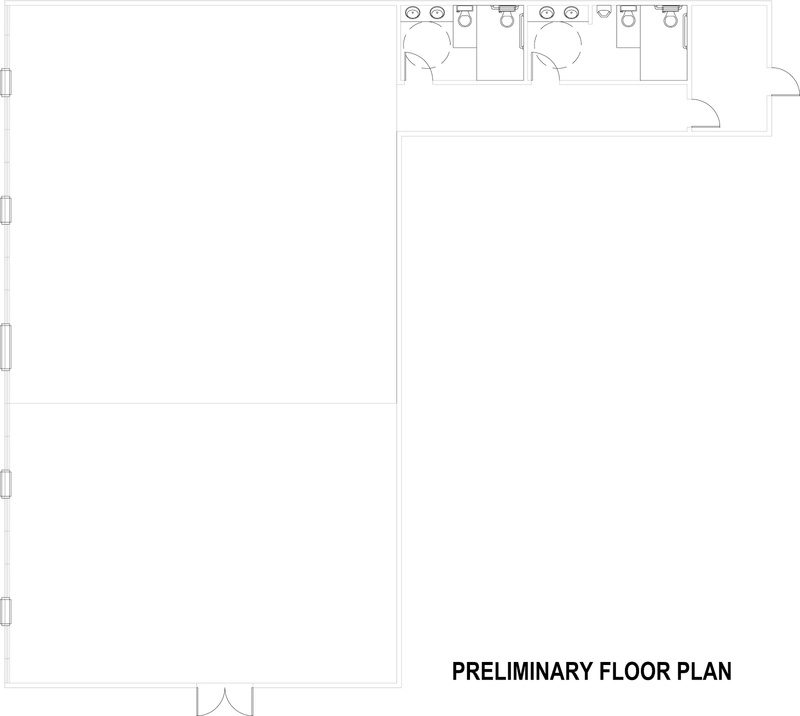 These are just my preliminary thoughts of what the space might look like and what may go in it- no where near a finished board. I wanted to get my first ideas down on paper so I could remember them later. 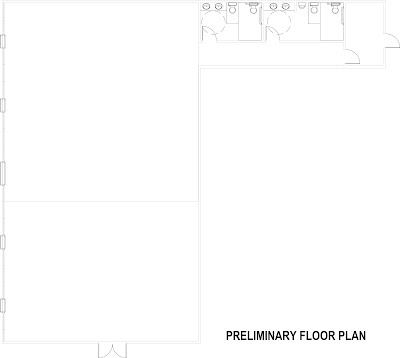 And here is the floor plan of the space I will be designing. 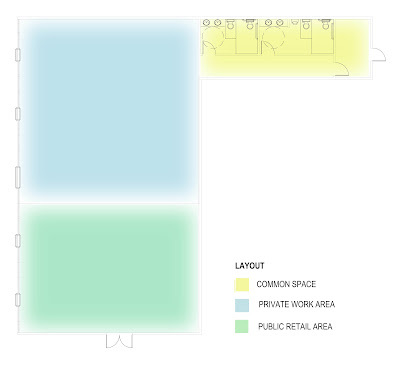 You can see the existing bathrooms in the back of the space. The left wall is all glass, the main entry is at the bottom. 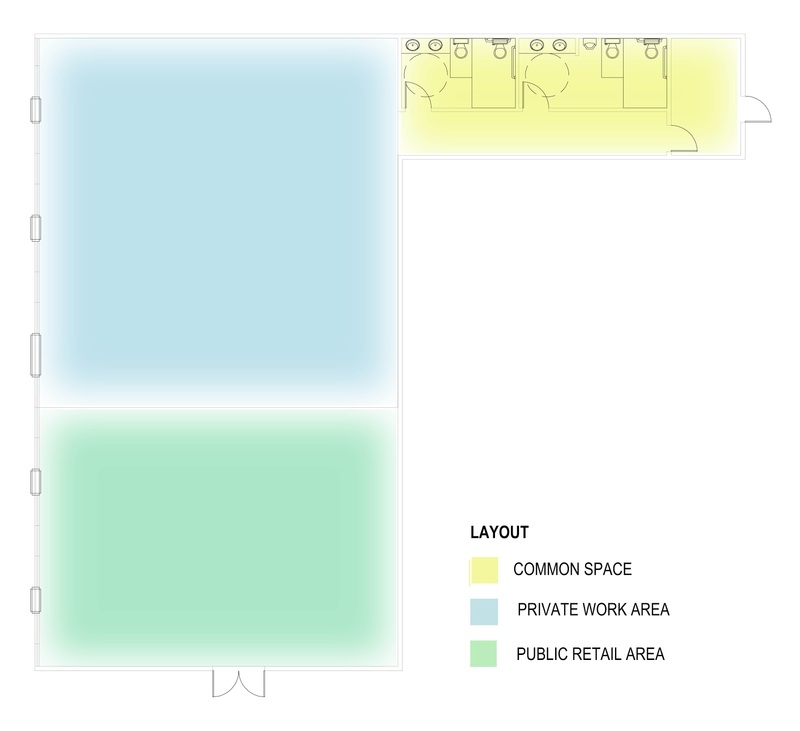 And here is my plan on dividing the space into public (retail) and private (office/ work) areas. very cool. love the idea.